Often used as a houseplant, Aspidistra elatior, commonly known as cast iron plant, lives up to its name in my garden (note: that’s not my garden below). 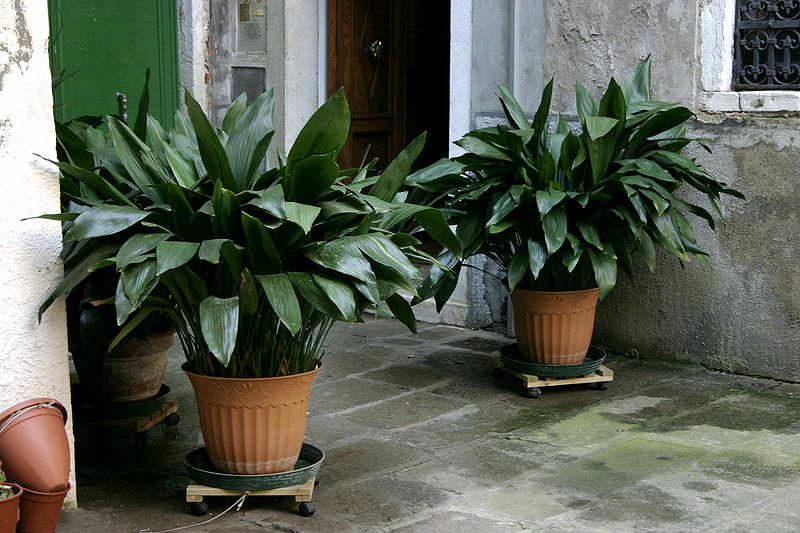 If you have dense shade and live in warmer climes, Aspidistra is a terrific choice for either an evergreen groundcover or an accent plant. It accepts neglect, drought, heat, humidity, and apparently, salt. It copes well with my acid clay. If you have alkaline sand, well, have a go and let me know how it works out. Use this plant! It won’t trouble you, I promise, and it’s more interesting than most big-box store offerings. Black thumbs of the world, you are on notice. Prepare to surrender your titles. Plant Delights Nursery carries a number of unusual and attractive Aspidistra species. But if, like me, your pockets aren’t quite so deep, they’re not hard to find elsewhere (even those big-box stores; check the houseplant section. But support your local independent nurseries. ).